centreRED has just been to DattoCon and for businesses like ours with a focus on Managed Service Providers, it’s a pretty big deal. DattoCon delivers one of the largest educational and networking events for Managed Service Providers (MSPs) in North America every year. In 2018, the three-day conference was held in Texas and offered MSPs technical training, networking and educational sessions to help them grow their businesses. Over 1200 MSPs travelled from around the globe to attend the conference. Our very own CEO, Kent Forster, and Sales and Account Manager, Hedley Middlebrook, headed to Texas last month for what was a great conference with lots of amazing content and over 50 industry leading vendors. 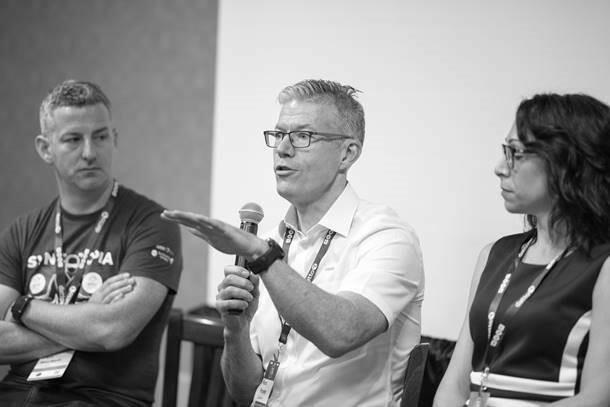 Kent was humbled when asked to be a Guest Speaker at DattoCon, where he presented a session to a room full of MSPs and later sat on a Q&A panel. Kent spoke about transitioning to the Managed Services business model, and his sessions were very well received. centreRED is proud that Kent and Hedley could be part of such a huge industry conference like DattoCon, make new business connections, and demonstrate that centreRED is a highly experienced Australian business that can assist international MSPs to become successful and sustainable businesses.